So, you are probably wondering, "Who is Hans Groiner, and what is all the fuss about?" You also may be asking yourself, "Who is Monk?" My small and interesting story will tell to all your questions. I am originally from the Austrian village of Braunau, (also the birthplace of Hitler, but please don't hold that against me!). 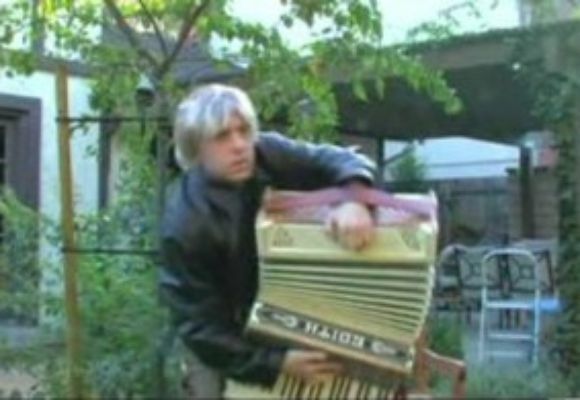 I started playing accordion, then piano, from a very young age. My other hobby was listening to the radio. One day, around 1978, I heard a very interesting piece of music that turned out to be a jazz pianist named Thelonious Monk. It pickled my interest because it was very different from anything I had ever heard. Although his music fascinated me, I had very mixed feelings. On the one hand, Mr. Monk had obvious talents, but on the other hand, his piano playing was very messy, and his songs had many funny notes and rhythms. Over the many years that I have been studying his music, I have grown to the conclusion that his songs would be much better, and much more popular, if many of the dissonances, or "wrong notes," were removed. With my new CD, "Hans Groiner Plays Monk," I have done just that.